I love the new items we have been getting in. These Kitchen Carts are super popular with our staff right now. They are perfect to use in a dining room if you need extra serving space. Because they are on wheels, you can put them where ever they are needed. I wish I had a bigger kitchen because I would use on as a movable island. With so many different styles, we have something for everyone. 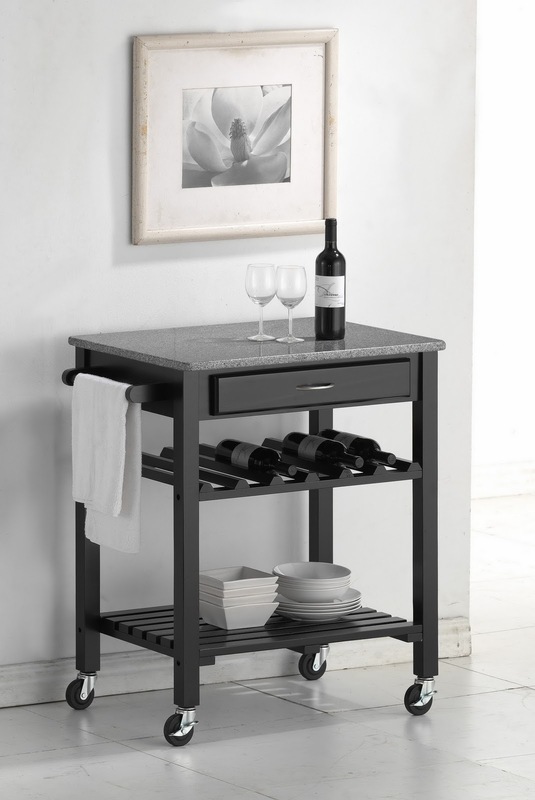 Priced at between $160 to $326, these Kitchen Carts are a steal. We have more than what is pictured below. If you are looking for a marble or granite style top or if you are interested in a butcher block feel, we have them. With plenty of storage, shelves and drawers, they will get a lot of use. 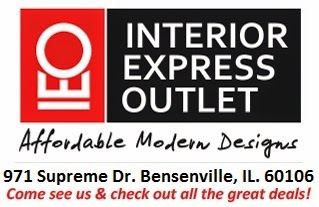 Come by our Chicago Furniture Outlet to see them for yourself! 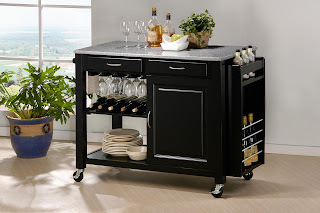 As of right now they are not on our site so be the first to pick up a Kitchen Cart!